Continuing with the review of the big umbrella under NCDs, now we’ll focus on Cardiovascular Diseases (CVDs). This is an extensive chapter, not only because of all the affected areas in the body but also for all the impact on quality of life of the sick person, their family and the commu-nity. According to the World Health Organization (WHO), Cardiovascular diseases (CVDs) are disor-ders of the heart and blood vessels such as: coronary heart disease (heart attack), cerebrovas-cular disease (stroke), rheumatic heart diseases, congenital heart diseases and heart failure. The heart is located in the chest and together with the blood vessels (arteries and veins) work to distribute the blood supply to the whole body. This cardiovascular system, in charge of the circu-lation, is influenced by other parts of the body like the lungs, the kidneys, the brain as well as other factors of our lives, such as infections, stress, overweight, physical activity, food. Most cardiovascular diseases can be prevented by addressing behavioral risk factors. >75% of CVD deaths occur in low-income and middle-income countries. Out of the 17 million premature deaths (under the age of 70) due to noncommunicable dis-eases in 2015, 82% are in low- and middle-income countries, and 37% are caused by CVDs. 80% of all CVD deaths are due to heart attacks and strokes or four out of five CVD deaths are due to heart attacks and strokes. People with cardiovascular disease need early detection and management using coun-seling and medicines. Some of the risks for CVDs are: hypertension (raised blood pressure), diabetes (high blood su-gar), elevated blood lipids (cholesterol or triglycerides), overweight and obesity, tobacco use, an unhealthy eating, physical inactivity and harmful use of alcohol. Let’s think that the heart is a pump and the blood vessels are hoses. The effort that the pump has to use to bring blood to all the hoses depends on the “resistance” of the hoses. When our food is too salty, the portion is too big or with many sugars (carbs) or fats and/or we do not exercise enough; our “hoses” or blood vessels increase the “resistance”, making the heart to work harder. The body can adjust and make changes to manage this extra effort for awhile, but eventually the compensation is not possible anymore and we get sick. This increase of “resistance” is the hypertension, or our hoses are blocked with all the cholesterol (plaque) interrupting the blood circulation to the heart, giving us a heart attack or to the brain, resulting in a stroke or providing that pump is not strong enough to keep pumping, heart failure or insufficiency. Integrative Medicine is a practice based on the consciousness, in the recognition of the balance and harmony as well as the imbalance and disharmony we are facing as a disease. We promote giving the patient all the information, tools and support to make the click, to acknowledge res-ponsibility on their own health, to integrate all the available diagnostic and therapeutical resources to heal. We can do more than just give medicines as that is just one little portion of the ma-nagement. What can you do to prevent or help your family prevent having a CVD or dying for it? First step is being informed, being aware, knowing the disease and the risks. Once you know, you need to be screened to know if you have it. For diagnosis, counseling, and management, you can visit the Public Health facilities, the Community Clinic, the Hospital, and the Dispensaries. - At least 30 minutes every day. - Limit your salt intake to less than one teaspoon a day. • Cease tobacco or join a tobacco cessation program. • Reduce or avoid alcohol consumption. If we work together as a team to recover the lost balance in our bodies, in our society, if we start the healthy habits that we had before facing this NCD crisis, we can beat NCDs. The case for Pacific Regionalism is as strong today as it has ever been. The well-established fact is that our countries have achieved great things by facing some of our biggest challenges together, rather than individually. During their meeting in September 2017 in Samoa, Forum Leaders deepened this commitment by endorsing The Blue Pacific as a new narrative for joint political action that calls for working together as one Blue Continent. The Blue Pacific aims to harness our shared ocean identity, geography and resources to develop policies that will drive positive change in our socio-cultural, political and economic development. Success for regionalism and the Blue Pacific means ensuring that we are the architects of our own futures. The Pacific Islands Forum is committed to a regional policy agenda that is inclusive, transparent, and owned by its constituents. Chuuk High School, Weno, Chuuk State, FSM - On Wednesday, October 18th, 2017, Vital FSM Petroleum Corporation (FSMPC) officially launched the Coconut For Life (C4L) Project. The ceremony took place on the site of the future Integrated Coconut Processing Facility (ICPF) and an Independent Power Plant (IPP) on the lagoon island of Tonoas, Chuuk. Representatives from the national government as well as delegations from all four of the Federated States of Micronesia made the early morning trip to the island, and were greeted with maramar, fresh young coconuts and singing and dancing by the Etten Youth Group. C4L Project Ambassador Mr. Resty Shotaro welcomed guests at Ichimanton Dock and shared an introduction to the island’s history including its significance during WWII as headquarters for the Imperial Japanese Army. After a brief rain shower, Shotaro then led the procession of over three hundred guests and spectators to the ICPF and IPP sites. 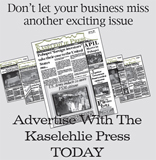 In addition to the two, fifteen-foot tall billboards offering a clear picture of the future facilities, the Chairman and CEO of Balance Services Group Mr. Rod Hayes spoke briefly of the ICPF’s initial capacity before introducing the concept and design behind the power plant his company has been commissioned to design and construct. The Honorable Vice President Mr. Yosiwo George was invited to participate in a groundbreaking ceremony, and was joined by Chuuk State Governor Mr. Johnson Elimo, Yap State Governor Mr. Tony Ganngiyan, Pohnpei State Lt. Governor Mr. Reed Oliver, Kosrae State Lt. Governor Mr. Carson Sigrah, Tonoas Mayor Mr. Douglas Reselap, and FSMPC Chairman of the Board Mr. Faustino Yangmog. Chairman Yangmog concluded the Groundbreaking event by proposing a toast in honor of the distinguished guests and the Coconut For Life Project. A special lunch was hosted by Mayor Reselap and the people of Tonoas for all visitors. 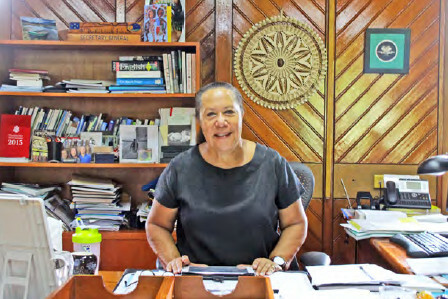 Vital-FSM Petroleum Corporation’s Chief Strategy & Investment Officer Mr. Mathias Lawrence had earlier in the week presented the Coconut For Life Project termed “C4L” to the 11th State and National Leadership Conference at the Chuuk High School. Lawrence emphasized the Project’s intended purpose of increasing economic benefits throughout the FSM by boosting its agriculture sector, generating new avenues for clean water and clean energy, working with formalized producer groups – called Participatory Guarantee System (PGS) – that will comprise over 25,000 registered coconut farmers. The project is expected to increase FSM’s Gross Domestic Product by at least 5%. Lawrence also touched on recent progress made in the Company, mentioning its first export of over 80 metric tonnes of coconut crude oil in July 2017, and announcing a second export of over 60 metric tonnes of coconut crude oil scheduled for late October 2017. In 2014, FSMPC was mandated with the task of revitalizing the nation’s coconut industry when the FSM National Congress passed Public Law 18-68, also known as “The Coconut Tree Act,” which dissolved what was then known as the Coconut Development Authority (CDA). FSMPC has since been taking strides towards increasing the trade in coconut tree products, as well as the processing, manufacturing, distribution and export of high value coconut products. 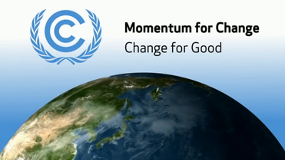 Further information on the C4L initiative, this can be found on www.vitalenergy.fm/coconut_ for_life/. PGS awareness meetings and workshops are currently being scheduled across the entire FSM. Community groups and individuals that are interested in forming a PGS, registering as a participating farmer with the C4L initiative can contact Shotaro for more information at (691) 330-4200, or send an email to info@ fsmpc.com. Colonia, Yap - Liyon Sulog, CEO of the 2018 MicroGames, has announced that Diving Seagull, Inc., has signed on to be the first sponsor of the quadrennial sporting event at the Silver Level with a contribution valued between $50,000 and $74,999. “We are grateful to the board and management of Diving Seagull for their partnership and generous commitment to provide fresh fish for the athletes, as well as cash to support the many other needs required to host the Games,” said Sulog. Yap will host of the next Games from July 15 to 27, 2018. The Diving Seagull, Inc., a component unit of the State of Yap, pursues fishing and other fishing related activities by operating fishing vessels, marketing and selling fish, and developing cold storage and transshipment facilities. The MicroGames are a quadrennial international multi-sport event within the Micronesian Region. Men and women athletes come from the Federated States of Micronesia, Kiribati, Guam, Palau, the Marshall Islands, Nauru and the Northern Mariana Islands to compete. 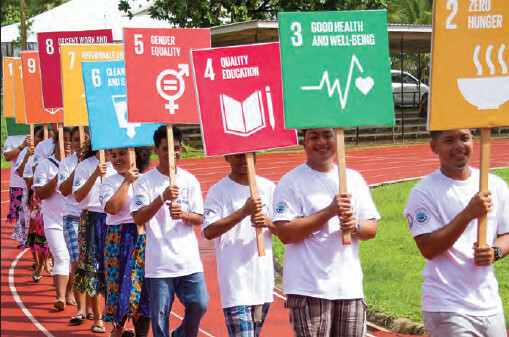 The purpose of the MicroGames is to promote a unique, friendly, world-class sporting event and to develop sport for the benefit of the people, the nations and the territories of the Micronesian community. On October 9, 2017, staff from the FSM Department of Justice (DOJ) Maritime Surveillance Wing and the National Oceanice Resource Management Authority (NORMA) gathered at the Western and Central Pacific Fisheries Commission Annex Building for Monitoring, Control and Surveillance (MCS) training. The week-long training, conducted by experts from the Forum Fisheries Agency (FFA) based in Honiara, Solomon Islands, allowed FSM’s maritime enforcement officers and fisheries compliance staff to upgrade their skills on use of the Regional Satellite Vessel Monitoring System (VMS). The VMS is one of the key MCS tools utilized by FFA members to monitor fishing vessels in their Exclusive Economic Zones (EEZ). The training was officially opened by NORMA Executive Director, Mr. Eugene Pangelinan, who noted that continual upgrading of systems and skills are essential to an effective fisheries management regime. Mr. Pangelinan highlighted the significant work in fisheries management that has been accomplished over the past decade as a result of the VMS and encouraged participants to absorb as much knowledge as they could from the regional FFA experts as well as FSM's own in-country experts, VMS Officers Mr. Justino Helgen from NORMA and Mr. Whylik Alfons from DOJ. The training was part of a series of MCS exercises that the FSM requested as part of its Country Service Agreement with FFA and an in-country roll-out of the recently upgraded VMS. Training participants expressed their appreciation for the timeliness and relevance of the training to the FSM, which would aid in carrying out daily MCS tasks, providing policy advice and planning maritime operational activities. The VMS training focused on teaching officers the functionality of various modules on the new VMS Trackwell System and how to operate it to combat, prevent, deter and eliminate Illegal, Unreported and Unregulated (IUU) fishing in FSM’s multi-million dollar generating EEZ. FSM—World Bank funding is not yet secured for the FSM fiber-optic cable project, but according to a memo from the FSM Department of Transportation, Communication & Infrastructure (TC&I) and FSM Senator Esmond Moses, at least some of the World Bank funding could be in place by the end of the year. The FSM stills needs to cover several details but Moses says all parties are working together and most of those details should be in place by then. The fiber optic cables have already landed in Chuuk, and Yap. Since then rumors have circulated that the company that handled the laying of the cable was suing the FSM for payment for its services and product since the funding is not yet in place. Senator Moses says that is not true. He said that in fact, the representatives of the company were surprised and thrilled during President Christian’s recent State Visit to Japan when the FSM made an $8.5 million payment on the bill from locally held funds. He says those funds will be reimbursed when World Bank disbursement conditions have been met. WASHINGTON (October 26, 2017) – Chairman Nik Pula of the Trust Fund for the People of the Republic of the Marshall Islands (the Trust Fund) confirmed this week that funds compromised by cyber-attacks at State Street Financial Services Company (State Street) have been fully restored and diligence stepped up after the discovery of fraudulent withdrawals of more than $600,000. FFA HQ, Honiara, SOLOMON ISLANDS—Maritime police and fisheries authorities in the Federated States of Micronesia have apprehended and seized a Taiwan purse seining vessel suspected of IUU fishing. The vessel was boarded and inspected by one of FSM’s three Patrol boats during Operation Kurukuru 2017, a ten-day Pacific-wide fisheries surveillance operation which ended on Friday, 13 October. 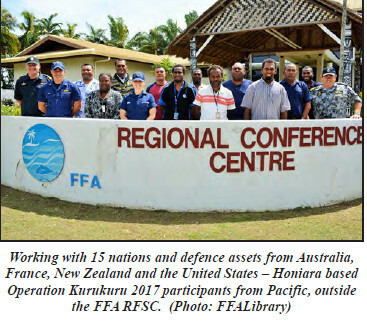 “It is effective national action to actually investigate, seize and prosecute or fine violators that justifies regional operations such as Operation Kurukuru and rewards the hard work and effort of coordinated regional support from the Honiara-based Fisheries Surveillance Centre,” says FFA Director General James Movick. Pohnpei—18 boats along with their captains and crew braved the elements in pursuit of big fish for the 22nd Annual True Value tournament on Saturday, October 21. Plenty of fish were caught, including some large barracuda. The weigh in was conducted at the Dekehtik boat dock. 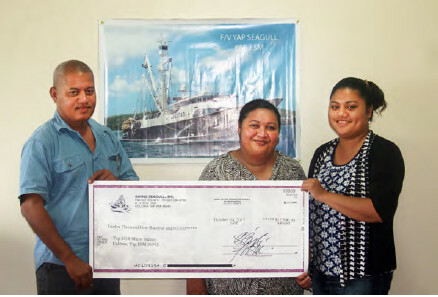 For 22 years, Pohnpei True Value has sponsored a fishing tournament in Pohnpei. This year the tournament was jointly sponsored by 11 other sponsors as well. The sponsors were Air Niugini, San Miguel, Ambros, Jonquil, Pohnpei True Value, Pacasia, Monje, Hardiflex, Sewan, Barnett, Pacific Islands, International, and Nihon Tekkan. One of the prizes for the tournament was to have been two round trip tickets to Port Moresby on Air Niugini for the largest marlin caught, but no marlin were caught. Rather than letting the prize roll over until next year, Air Niugini decided instead to award the tickets to Jeannie Hawley who won the big fish prize for her 56.9 pound yellowfin tuna. Hawley also won an 18,000 BTU split type air conditioner from Pohnpei True Value. Konrad Englberger was the second prize winner with a 30.4 pound barracuda in the biggest fish category. He was awarded a 7.1 cubic foot freezer provided by Jonquil. Englberger also caught the third biggest fish—a 27.1 pound barracuda. Pohnpei True Value awarded him with a Barbecue Grill for that catch. Gift certificates were awarded for the biggest fish of each species, Junior Angler, and Lady Angler. The anglers who won the “biggest species” prizes were each awarded a $150 gift certificate. Izaa Teo won for the biggest yellowfin tuna. Denise Etscheit won for her 17.4 pound wahoo. Welber David caught the largest Skipjack at 16.8 pounds. Konrad Englberger caught a 21.2 pound Giant Trevally. Feleti Teo caught the largest barracuda under this prize category at 15.9 pounds. Junior Anglers were awarded $100 for their landed fish. Junior Olpet won first place for his 12.8 pound Wahoo. Kekoa Pernet won second place for a 11.2 pound wahoo. The top lady angler for the tournament was Berno Hedson. She won a $100 gift certificate for her 17 pound Giant Trevally. Sponsors provided hot dogs and hamburgers for all of the participants, and every boat that entered the tournament received two cases of beer and a large Red Horse cooler. Many thanks to everyone who helped, including Bill Pendergraft, Tina Albert, and all of the Pohnpei True Value staff members. Pohnpei Fishing Club’s last tournament of the year will be the Budweiser tournament on November 18. Mark it down on your calendars. 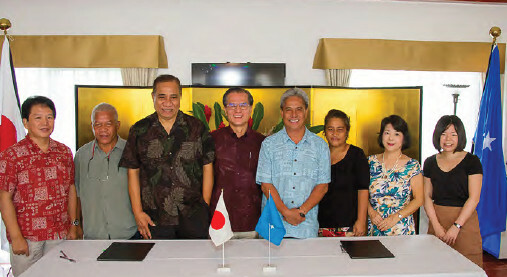 Pohnpei—Ambassador Ryoichi Horie of Japan and Pohnpei’s Governor Marcelo K. Peterson signed the agreements necessary to mobilize the donation of money for the purchase of two tractors for the Division of Agriculture. The $84,900 donation will also cover three implements for the tractors as well as freight and wharfage. Governor Peterson thanked the Ambassador and the people of Japan. He said that farmers had often approached him since he became governor asking if the State could once again provide tractors but the State didn’t have the resources. Nicholas Solomon, Pohnpei’s Director of the Department of Resources and Development said that the tractor the State owns has been broken beyond repair for over a year. He said that he is glad the State will now be able to once again provide the important service for food security for Pohnpei. Adelino Lorens, Chief of the Division of Agriculture also thanked the Embassy and people of Japan. 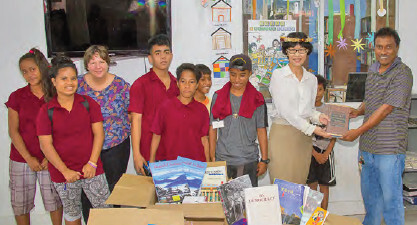 During his speech, Ambassador Horie said that he felt that the donation is an important one for the people of Pohnpei. He also spoke briefly about President Christian’s recent State visit to Japan during which he met with Emperor Akahito and also with Japan Prime Minister Abe. He said that during that meeting, Abe announced that it would be providing the FSM with approximately $3 million as further grant assistance. He expressed his disappointment that two previous donations that the Embassy of Japan had provided were overdue for completion and encouraged the Governor and his staff members to be sure that the tractors are purchased very quickly so that they can be put to use right away. October 27, 2017—The Pohnpei Public Library today received a donation of books and cash. The Embassy of the People’s Republic of China donated three large boxes of books covering a wide range of subjects on China from regional histories and explanations of their political system right through to topics of China’s National Defense. Counselor LI Cuiying of the Embassy presented the books saying that she hoped that they would help provide useful information about her country that the Library doesn’t currently have. Visitors who were at the library at the time were asked to be part of the photo. She also presented a check in the amount of $1300 for use by the library. The Pohnpei Public Library is a non-profit organization. Chuuk—Associate Justice Larry Wentworth of the FSM Supreme Court in Chuuk handed down surprisingly light sentences for the FSM’s first successful human trafficking prosecution. Convicted felons Cortez Benedicto and Rieta Eram each faced as much as 45 years in jail and $85,000 in fines for their crimes. What they got was significantly less than that. Justices are not required to define reasons for their sentences and no reason was given for the light sentences provided for the victimization of a then 14 year old girl. The Court decided that Benedicto’s sentence of 15 months should be suspended except for weekends between 6:00 PM on each Saturday night until 6:00 AM each Monday morning and placed on probation for the rest of the 15 months. While he is on probation he can’t leave Chuuk without the permission of the Court. He must report to the Court’s Omsbudsman every month. He can’t have any contact with the victim of his crime. When he is not working, he is to be confined at the GPPC Construction camp in Mwan. The Court also assigned a $5000 fine which can be paid in a lump sum. Otherwise, he must pay $200 each pay period until the fine is paid. The $200 he initially paid for bail is being applied to that fine by court order. Eram’s sentence was even lighter. She got probation for 15 months and no fine for providing a minor in her custody to Benedicto for the purposes of sexual exploitation. The sentence has some prosecutors shaking their heads in bewilderment. “We have to respect the Court’s decision because that is how the criminal justice system works. We will work within the law and keep on enforcing it. If we need the law to be amended for more strict minimum punishments we can ask Congress to consider that possibility as an amendment,” said Joses Gallen, FSM’s Secretary for the Department of Justice. Pohnpei—Pohnpei celebrated United Nations day this morning at the PICS track and field. A highlight of the program was the introduction of FSM Youth for the UN’s Strategic Development Goals (SDGs), each of them carrying signs representing one of the 17 goals decided on by the member nations of the United Nations. Though the opening of the event was delayed by rain, everyone in Pohnpei knows that rain is a sign of blessing. Once the rains passed, Master of Ceremonies, Norleen Oliver quickly took the microphone and began the program. Father Ken gave an inspiring opening prayer. Oliver gave an outline of the day’s agenda and explained the selection, training and participation of the FSM Youth for SDGs.